I’ve recently changed jobs and ended up with an unscheduled weekend off! Rest and relaxation have most definitely been on the menu following a fairly hectic week, but some food nourishment is a necessary medicine. For Saturday lunch a Tuna Tartare. This is a new book to the library- I have another in the series all on Fries so couldn’t resist this. (I’ve never actually cooked anything from the Fries book, or indeed the book that only has recipes for Dal… maybe I need to!). 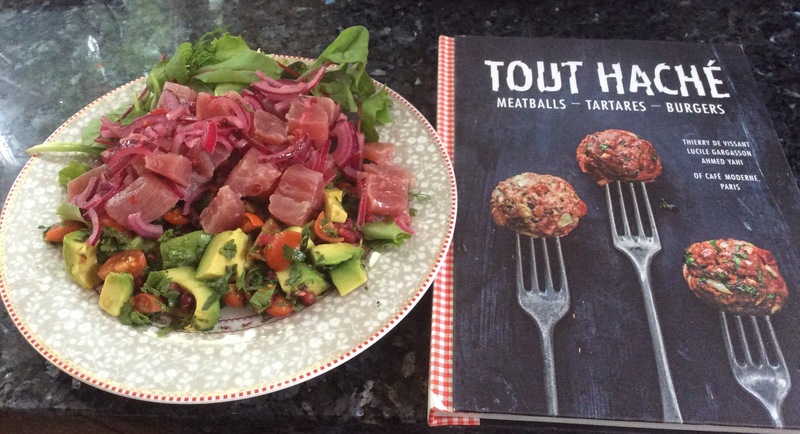 The tartare was really delicious and very easy to make. Firstly I sliced a red onion and popped in a bowl with lots of lime juice and a sprinkling of pink peppercorns and left them to steep for half an hour. In the meantime I diced a fresh tuna steak, a small avocado and a handful of cherry tomatoes, mixing them with some fresh mint, coriander, fresh red chilli and a spritz of lime. Mixed all together on a bed of some salad leaves (the last bag in the supermarket…) the tartare was fresh and vibrant, hot and sour, and quite delicious! For dinner I made an adaptation of a recipe I’ve made previously from the Cinnamon Kitchen Cookbook. There must be a theme for today’s food actually as this too was fresh and fragrant. Chop 250g cod into tiny pieces. 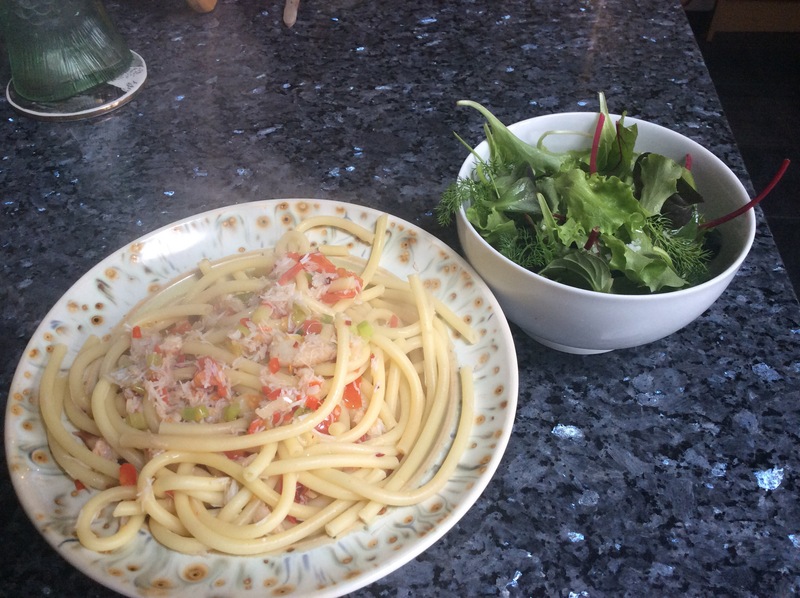 Mix with 150g white crab meat, a shredded kaffir lime leaf, half a chopped red onion, 2 chopped fresh green chillies with a little knob of ginger grated. Drizzle in a little olive oil, season and mix all together. Shape into little balls, sauté on both sides until lightly browned, and then pop into the oven to cook through- about 10 mins. The sauce is next. Saute the other half of the red onion, chopped, in oil and add some spices: tsp ground coriander, half tsp ground black pepper, tsp dried red chillies, and a star anise. Also pop into the pan a tbsp white wine vinegar, a chopped garlic clove and some salt. Mix in well before adding in a tin of chopped tomatoes. Stir and simmer for a few mins. Add in a small tin of coconut cream to mellow the sauce and simmer until thick. 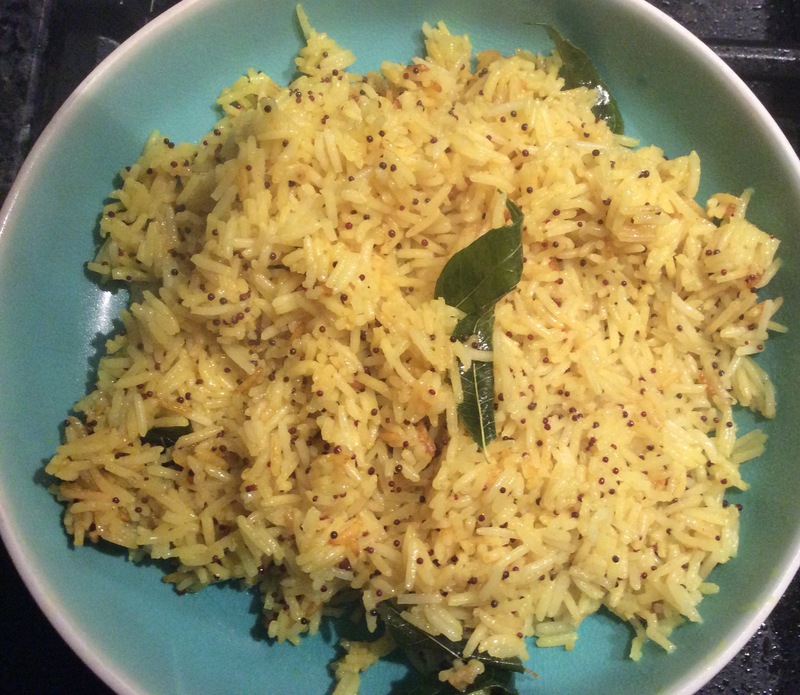 The rice is super easy- boil some basmati rice until almost cooked. Drain. In a pan heat some oil and add some black mustard seeds, a small handful of curry leaves, a chopped chilli and a tsp turmeric. Stir in the rice and squeeze in a lemons juice 🍋. These gorgeous little koftes are not all that fishy in all honestly, but really hold the spices well and add a real fragrance to the meal with the fresh herbs. Really filling too yet modestly healthy- maybe perfect for a Fit February!!! I had some white crabmeat left over so Sunday lunch became a Crab Linguine. Not a recipe really, I simply boiled some pasta in one pan whilst cooking some spring onions, chillis, crab in olive oil in another. To the crab I threw in a handful of chopped cherry 🍅 and a glass of Prosecco (bizarrely left over?!?) and cooked down. All tossed together and eaten in a flash! So a restorative weekend to recharge the batteries, just what the doctor would order I am certain. It will end tonight with a toad in the hole!!! 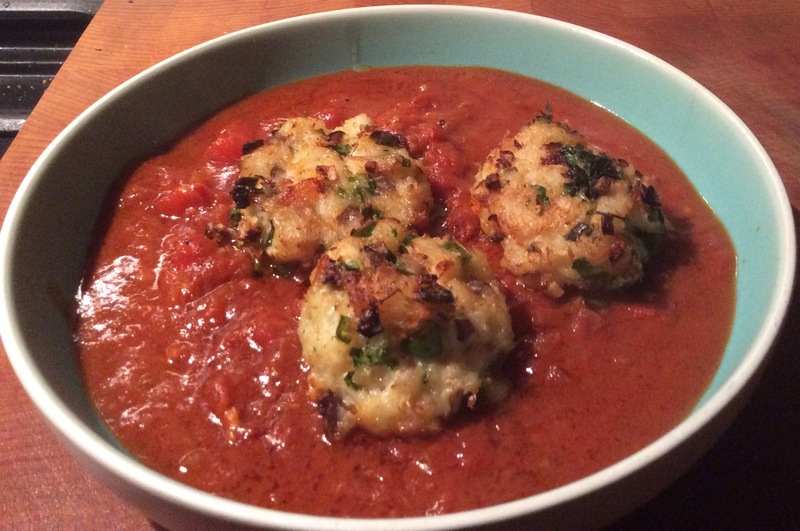 ← A Fishy Dinner, A Tale of 2 Gnocchi, and a Sciatica Soothing Pasta!